The foundation of your home is the most important element. This is what bears the weight of your home and prevents it from moving or settling. At Milton Constructions in Massachusetts, we can skillfully build a solid foundation for your new home or repair the damage to your existing foundation. Depending on the ground conditions of your area, there may be different foundation options available to you. We can help you decide which type of foundation you need and discuss options for repair. There are three main types of foundations: full basement, crawl space and slab-on grade. The ground conditions may affect which options are available to you. While many different materials have been used for foundation, reinforced concrete is the preferred material for a solid foundation. 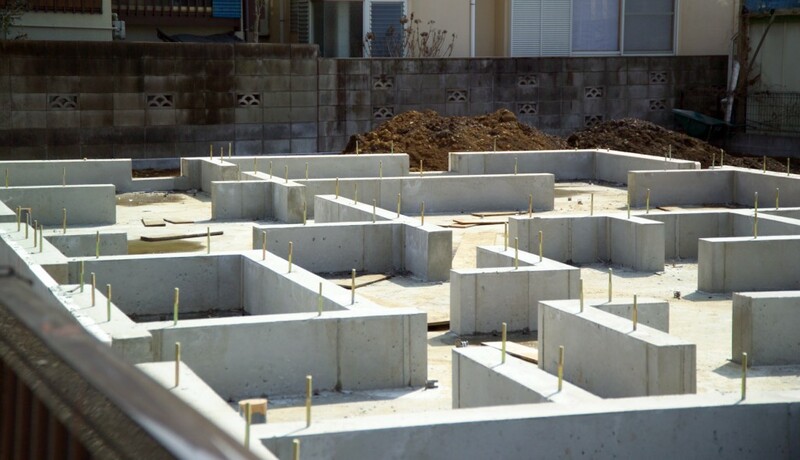 For a new foundation, a wooden form is built, steel reinforcing bar (rebar) is installed to strengthen the foundation, and the structure is filled in with concrete. When built properly, your foundation should stabilize your home and prevent it from settling. A strong foundation will hold up for years to come, even under the most severe circumstances. Most foundation problems can be repaired. While small vertical cracks in your foundation may not be worrisome, if the crack is much wider at the top than at the bottom, this could be problematic. This, accompanied by other interior symptoms, such as large cracks in the drywall or sagging floors that are not level could be a sign that your home is settling. In order to repair this damage, your home may have to be jacked up and additional supporting beams installed. At Milton Constructions in Massachusetts, we can assess the extent of the foundation damage and guide you to the best options for repair. Our professional staff is very experienced and knowledgeable in foundational repair. You can rest easy, knowing that your house is in good hands.